Christian’s passion for learning has served him well throughout his life. From a young age he thirsted for new experiences that would expand his mind and provide a rich experience. Coupled with an inability to sit still, he has spent his life in the pursuit of diverse interests which include everything from flying airplanes to playing the drums professionally, and just about everything in between. Education has always been of paramount importance to Christian. Born and raised in Orangevale, he attended Bella Vista High school where he played soccer and golf, was involved in student government, and participated in the marching, pep, and jazz bands. To attend college was never a question, but he did change his major a few times before settling on business. While in his undergrad years, he took a two year sabbatical to serve as a missionary for his church, where he learned the Spanish language and developed an appreciation for the hardships many suffer in third world countries. Three weeks after returning from his missionary labors he married Rachel, the women of his dreams who had patiently waited over two years to be reunited. They eagerly began life together as Christian plunged into professional life and went back to school. Christian began his career in the financial services working for Bank of America. During this time he developed an intense interest in the world of wealth management. 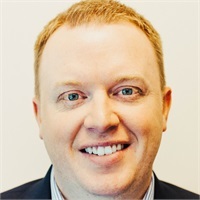 After a few years at the bank, he accepted an opportunity to work at Prospero (formerly GFBB Benefits) where he would mentor under Dr. Dean Forman, Ph.D., CFP, CEBS. Christian is quick to acknowledge that his decade of mentorship from Dean provided him with a lifetime’s worth of experience and knowledge! Not long after starting with Prospero, Christian graduated from CSUS earning a BS of Business Administration with minors in finance, economics, and risk management and insurance. At the same time he took the LSAT and began applying to law schools. After graduation he weighed his options, but decided to remain in Sacramento where he could continue to work full-time and attend University of the Pacific’s McGeorge School of Law, taking classes at night. Law School was a busy time for Christian. At McGeorge he served as president of the McGeorge Estate Planning Society, competed on the mock trial team, earned certifications in both Taxation and Business Law, and it was during this period 2 of his 3 children were born. He graduated a member of the Dean’s list, and was awarded a special scholarship from the Sacramento Estate Planning Council for his academic achievements and dedication to the discipline of estate planning. Christian has continued to develop his knowledge since taking over ownership of Prospero’s investment business. He’s highly regarded as an authority in 401k, 403b, 457 plans, as well as defined benefit and executive compensation plans. He’s helped hundreds of people to create and execute a comprehensive retirement plan. In addition to his work with corporate retirement plans, Christian has extensive experience working with high net-worth individuals and those with complex tax or investment concerns. His legal education and experience serves his clients well through the creative solutions he offers. In his free time you’ll likely find Christian working to lower his single digit handicap on the golf course, mountain biking with friends, exploring new destinations with his family in their small airplane, restoring a classic car, playing soccer, reading a good biography, or just spending quality time with his wife and three kids. Christian loves to be involved in the community and church. In 2012 he graduated from the Leadership Roseville program and has served on the board of several non-profit organizations. He was part of the original board that founded the Roseville Theater Arts Academy in 2010, and still jumps in the pit orchestra to play the drums from time to time. He’s also been involved the Roseville Chamber of Commerce, the Pacific Gold Aviation Association, the John Adams Academy, and actively fundraises for the Boy Scouts of America. Christian feels a deep tie to his community and the wonderful people that make life so fulfilling! 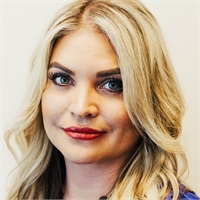 Jessica W. Buhler is the Registered Executive Assistant at Prospero Wealth Advisors where she has served for three years. Responsible for everything from paperwork processing and account servicing, to scheduling meetings and updating the CRM — Jessica is an invaluable resource to the Prospero family. After graduating with her Associates degree, Jessica followed her calling and launched a career in financial services with Bank of America where she worked for six years. Today, she is excited by the opportunities, relationships and knowledge she continues to gain while working at Prospero Wealth Advisors. As a reliable, trusted resource, clients are drawn to Jessica who is most fulfilled when she sees them succeed. She has her Series 6 and 66 securities licenses as well as her California Life and Health license. Jessica lives in Auburn, California with her husband, Phil. When they aren’t busy taking care of their cat, five dogs, chickens and three ducks — Jessica and Phil enjoy vacationing and exploring their historic town. She is personally passionate about naturopathic medicine and learning about the world of organics.